With years of experience cloud technology, our engineers and architects will provide cloud management services to support your business operation. 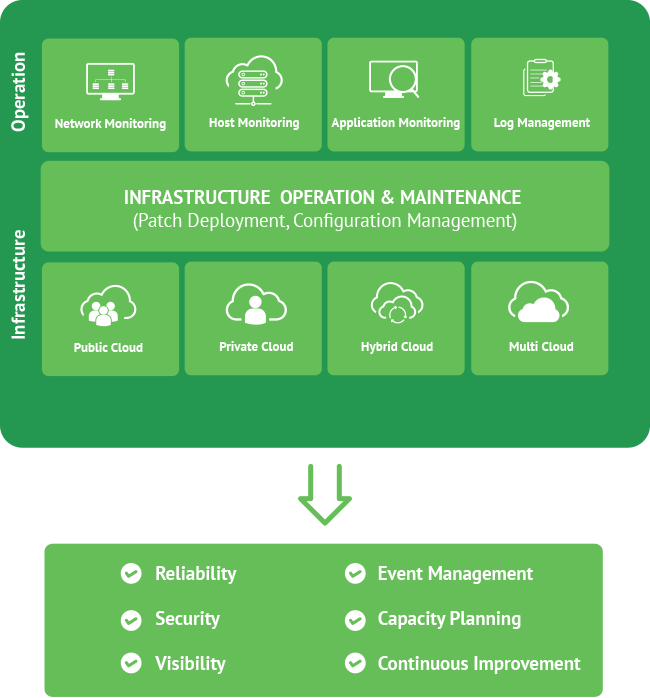 Be it in the cloud, on premise or hybrid, you can trust us with managing your cloud infrastructures so you can focus on building application that your customers love. ENTRUST YOUR DAY TO DAY CLOUD PLATFORM MANAGEMENT TO OUR CERTIFIED ENGINEERS SO YOU CAN focus on higher-value projects. This subsidiary of Amazon.com provides on-demand cloud computing platforms that help you build sophisticated applications with increased scalability and flexibility. Using a global network of Microsoft-managed data centers, Azure provides an open, flexible cloud computing platform. The only enterprise-ready container platform that provides security and agility in improving the application computing. Running on the same infrastructure that Google uses internally for its end-user products, Google Cloud allows you to build, innovate, and scale the cloud platform. Successfully virtualized the x86 architecture, this subsidiary of Dell Technologies provides cloud computing software and services. Let us manage your cloud infrastructure! Whatever you want to do in any cloud, we can manage it all for you.